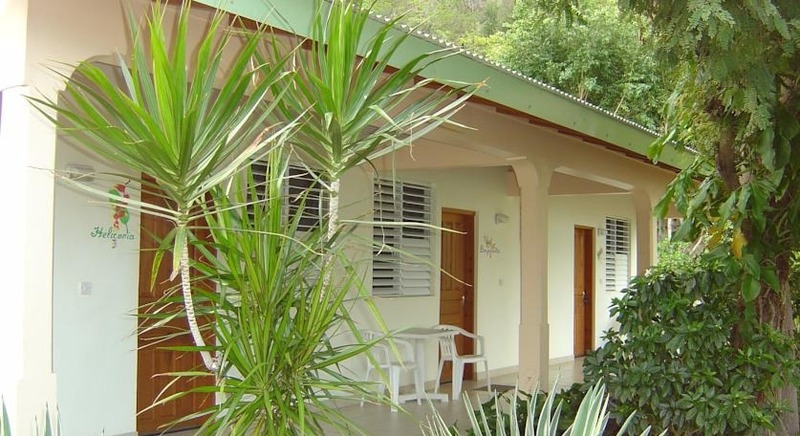 This resort is located on the west coast of Dominica and offers a private beach with access to diving and snorkeling. An all-inclusive plan is available, which includes all meals and snacks, unlimited beverages, and snorkel equipment. Guestrooms feature large windows and balconies or patios overlooking the tropical gardens. The resort serves guests meals in the onsite 4-Seasons restaurant and bar. The restaurant has beach-side seating. Guests can swim in the outdoor pool or relax in the sauna. The resort also has babysitting services and a shuttle to the airport. Fly into Douglas-Charles Airport (DOM), formerly known as Melville Hall. The resort is located about an hour and 15 minutes from the airport. An airport shuttle is available for an additional fee. Visit Sunset Bay Club’s website for more information.